When she started running the energy on me I immediately felt a sense of quiet and peace. It was a feeling that was familiar and at the same time, an energy like no other. My mind settled and quieted and I felt like I was wrapped in a white, safe and clear space of light. Being a visual, and feeling person, I saw and felt many things. I felt things release and clear in a different way than I was used to.I felt myself as the observer and the separation from my human mind self-analyzing the situation. Towards the end of the session, I felt a beautiful feeling of liquid light enter my body from my crown and move down like honey from my head to my feet. It was nothing that I had experienced before, integrating higher aspects of self into my body. I walked out of that session different and at the same time, more of myself. 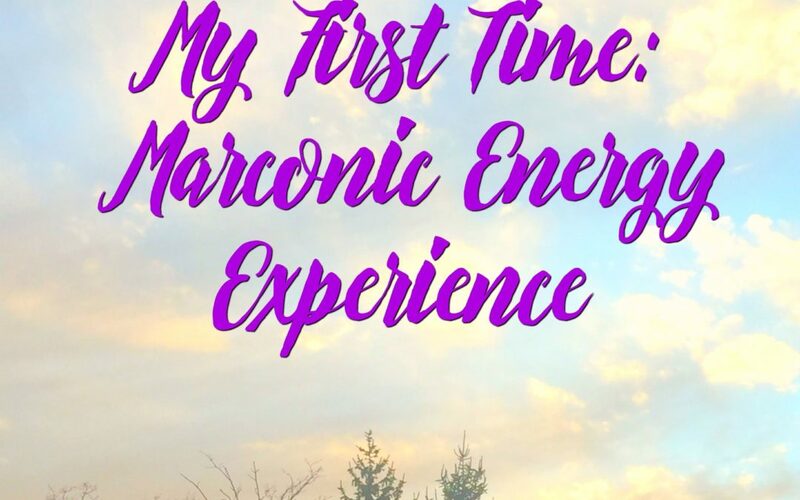 That was December 2016….Since then much has changed…..
Everyone has different experiences with Marconics. Many people experience that profound sense of peace and calm that I described, and many people experience various sensations in their body, yet each person receives what they need to receive. The experiences and work that you receive are between you and your Higher Self, the practitioner is the channel and is not making anything happen or intending anything. Marconics is meant to help us raise our vibration and in turn clear and heal karma and trauma. It creates the opportunity for us to come into communion with higher aspects of ourselves and integrate that energy into the body, which in turn brings us deeper into pure knowing of who we really are. Intuition can expand, and we may gain a clarity in what our purpose, passions, and mission are here in this life. For those that have known me for a while, know how solely invested and focused on Myofascial Release I have been. Getting involved in something else and sharing it is not something that I do on a whim. My experiences with this work is something that would be wrong not to share with others! It has been profound, beautiful and quite life changing for myself and the others I have worked with! This is a time of accelerated spiritual growth and expansion of the collective consciousness and with that brings tumultuous waters to navigate through as we see the extremes coming to the surface to be cleared and healed. Marconics is a way to get support on this journey that we are all part of. If this resonates with you… if you are getting your telltale intuitive confirmations, or if you are intrigued, wanting to know more, I invite you to check out the information HERE on my site. I truly feel grateful to share this work with others, and I look forward to working with you if you feel called. This work is done in person and from a distance. I welcome questions so feel free to contact me! Lots of love to you on your journey, dear soul!